Lot 57 NBL Brass Round Steam Locomotive Worksplate. As carried by an Ex Sudan Government Railways 3' x 6" Gauge 4-6-2 - 220 Class Pacific. 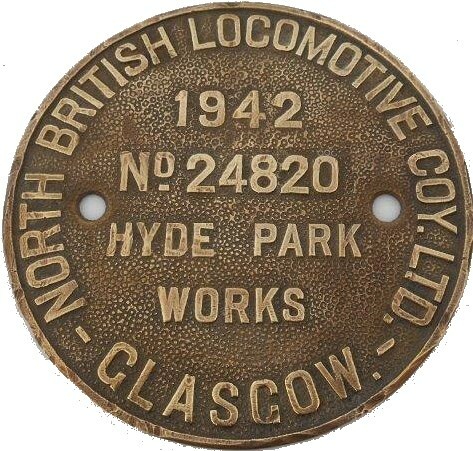 Works No 24820 - 1942. Loco No 244. Formerly WD 72804. Front Restored.